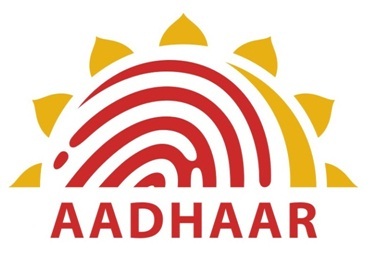 Unique identification number(UID) or Aadhaar(means 'foundation' or 'support') is a number which uniquely identifies a citizen of India and is linked to his or her demographic and bio-metric information. Aadhaar is not only a proof of identity but also recommended as a mandatory document for government services like LPG, Employee Provident Fund(EPF) transfer and withdrawal etc. Also Aadhaar would be made mandate for food ration, medical treatments and other state government services. Where to download Aaddhar Enrollment Form? Aadhaar enrollment form is freely available at all enrollment centres. Also you may download it from UIDAI website. Some enrollment centres accept only forms in local languages, you may download them from the links provided below. My wife/son/daughter doesn't have any address proof mentioned in the UDAI website. How can they enroll for Aadhaar? Can I fix Aadhaar appointment online? Click here to fix an appointment online. How to check my Aadhaar status? You can check the status of your Aaddhaar at the Resident Portal. Normally it takes about two to three weeks to process your application. Initially the status would be 'EID provided by you is still not available with us. Please check back after few days'. Be patient, check your application status again after 2 to 3 days. You will see a new status 'Your Aadhaar number is under generation. Please check back after few days' once your application is under processing. Wait for another 1 to 2 months and check again, your Aadhaar would be ready and available for download, you will see a status 'Congratulations ! Your Aadhaar has been successfully generated.You may now download the e-Aadhaar from the Resident Portal.'! You have successfully enrolled for Aadhaar but not yet received your card? You may download a soft copy of your Aadhaar card called eAadhaar from the eAadhaar Portal! Can I change my details once enrolled? Yes, you may change your details online or offline. For changing the details online visit Aadhaar Self Service Update Portal. For downloading forms and instructions to change your details via post, visit Aadhaar Portal. We wish you a successful Aadhaar enrollment! Feel free to share your experience with the Aadhaar enrollment process. If you already got your Aadhaar, you can link your Aadhaar number with your Gas connection, click here to know how to do this.